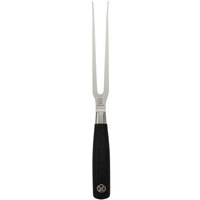 Keep your meat in place while carving it with this Victorinox 40596 14" pot fork with a black handle. 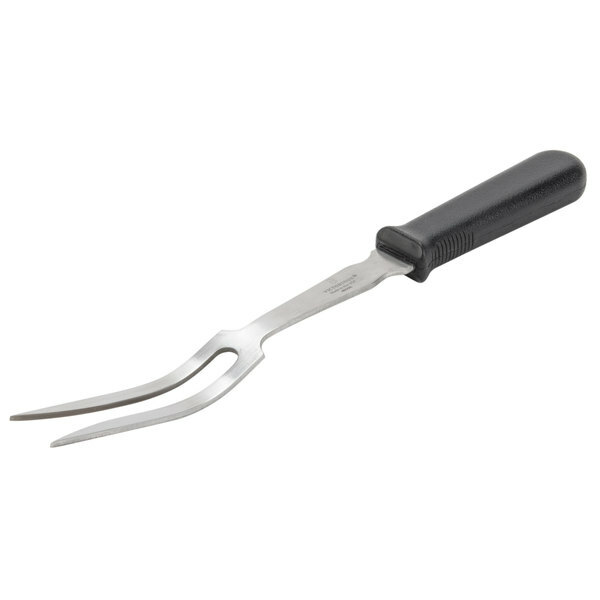 This fork features strong tines and is able to stand up to heavy use. 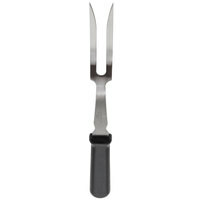 Using it keeps operator's hands away from hot foods and allows users to cut hot product with ease. 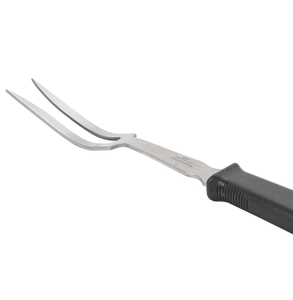 This pot fork is a great addition to your arsenal of kitchen tools. Use it while carving and serving your delicious cuts of turkey, ham, or specialty roasts. 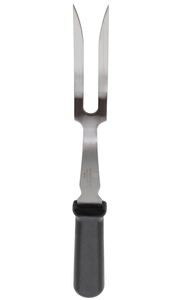 "Victorinox has passed it's inspiration of the Swiss Army Knife into all of their products. 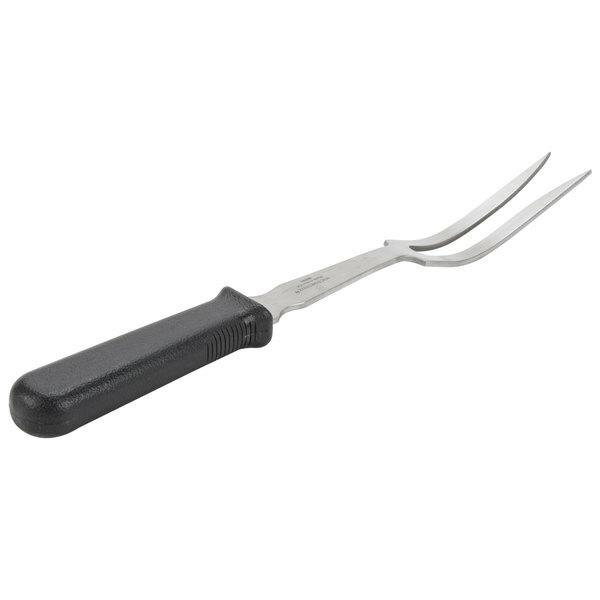 This 14" pot fork is heavy weight and the handle has a nice grip that doesn't hurt your hands. 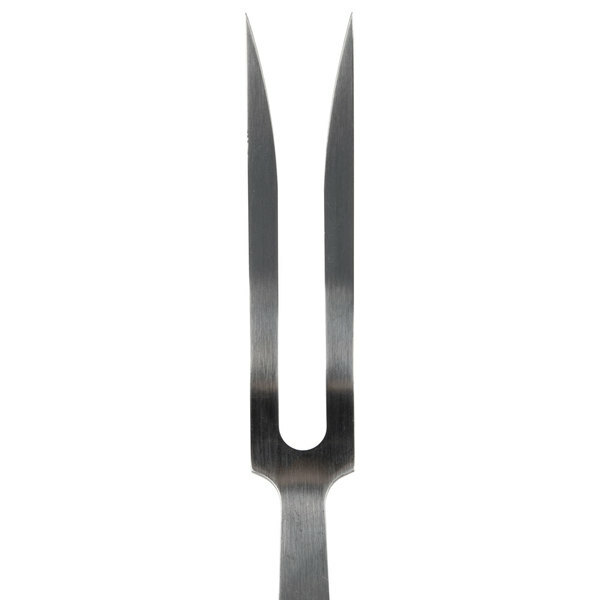 The tines are sharp. I would recommend!" 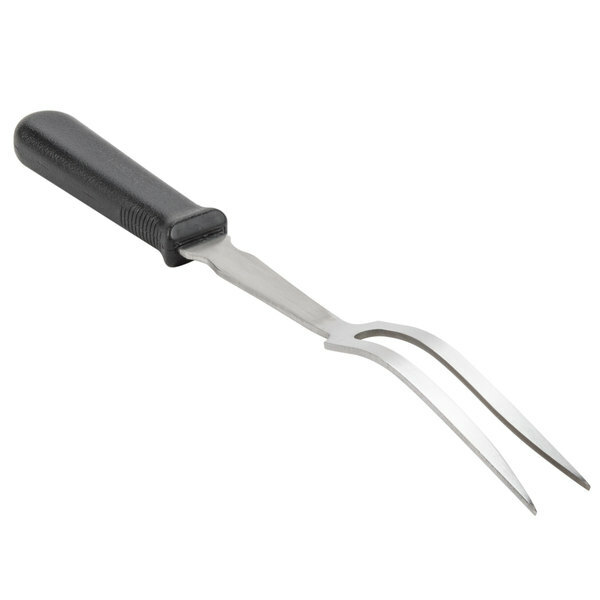 These 2 sharp, stainless steel tines are able to sink into product with ease. 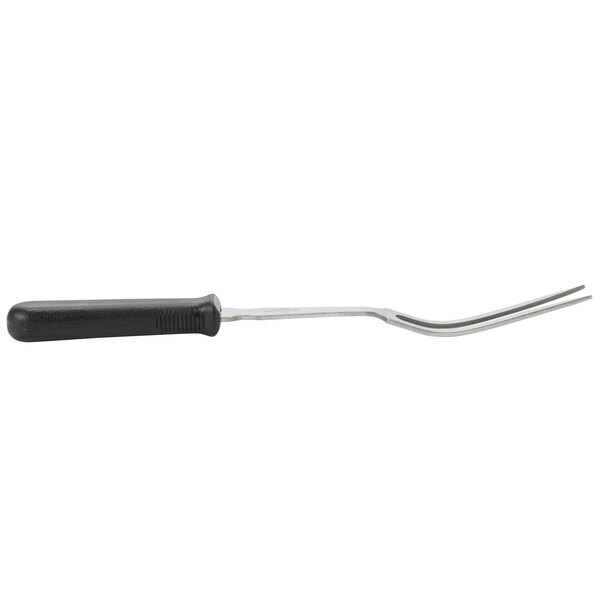 The thick, sturdy handle offers supreme comfort for continuous use throughout the day. 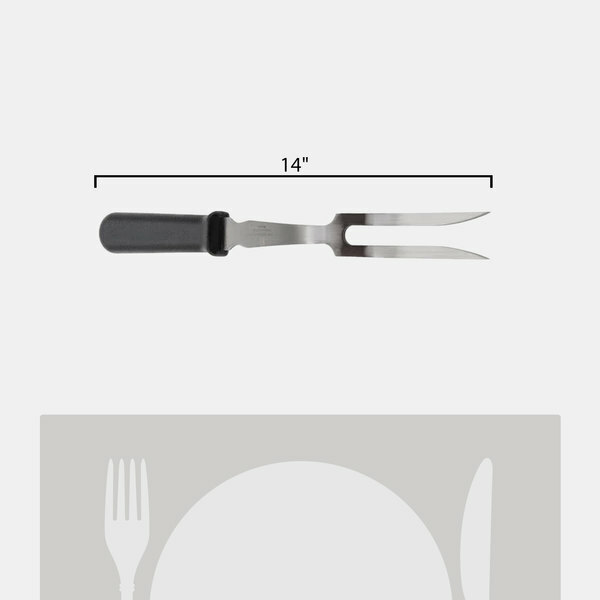 The makers of the revolutionary Swiss Army Knife, Victorinox knows what they are talking about when it comes to cutlery. Since their founding in 1884, Victorinox has always been committed to innovation, realizing that customer needs and technology are constantly changing. 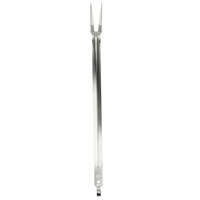 As part of their product line, you can depend on this pot fork for reliable and long-lasting use. 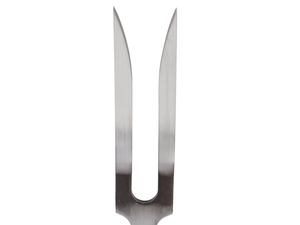 This is a very well made knife with a modern look that is eye appealing. 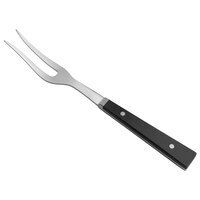 The quality is exceptional and it holds up well with a lot of use. I would recommend this. 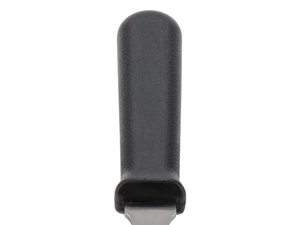 Victorinox has passed it's inspiration of the Swiss Army Knife into all of their products. 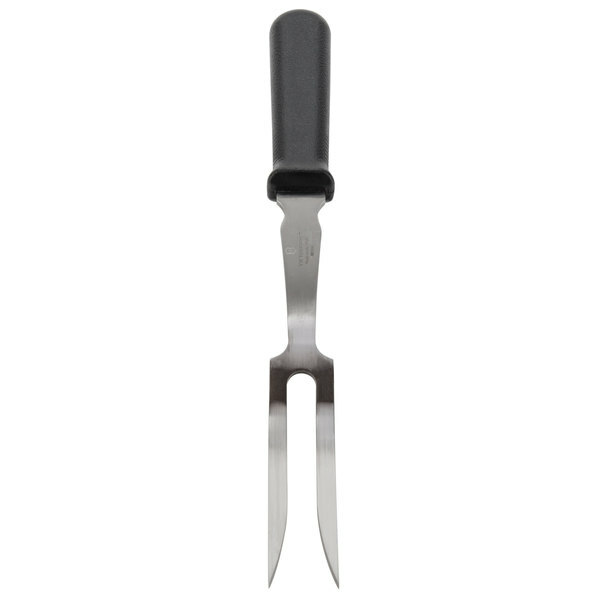 This 14" pot fork is heavy weight and the handle has a nice grip that doesn't hurt your hands. 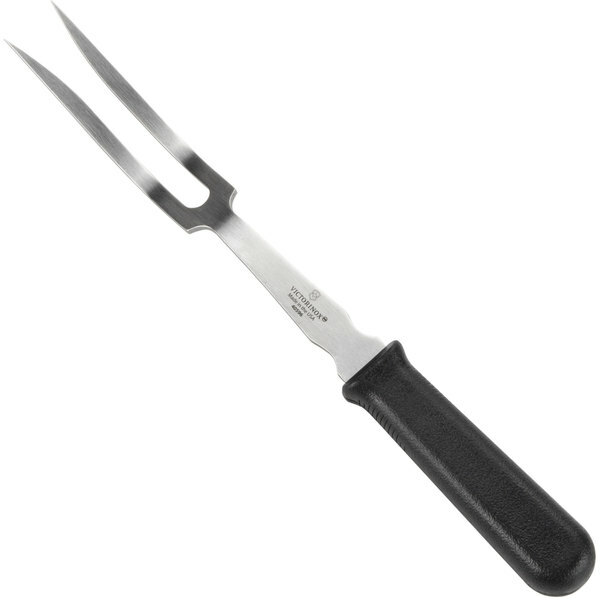 The tines are sharp. I would recommend!